Self-professed nerds, these two sweethearts really enjoy spending quiet moments together – something I wanted to capture in their engagement session. Because they are getting married at a winery, a bottle of wine stood in for a few shots (natch). They even invited me to toast to their happiness with a glass (almost) right after the session. Building relationships with sweet, fun, loving people like Megan and Brandon is an amazing part of my job and something I will never, ever tire of. Oh, and playing around in the beautiful wilderness that’s right outside my door is certainly a work perk, too! Megan and Brandon, I am so glad to have met you, and we at Sunflower Field wish you all the best with your wedding planning. Believe me, we’ll be in touch! 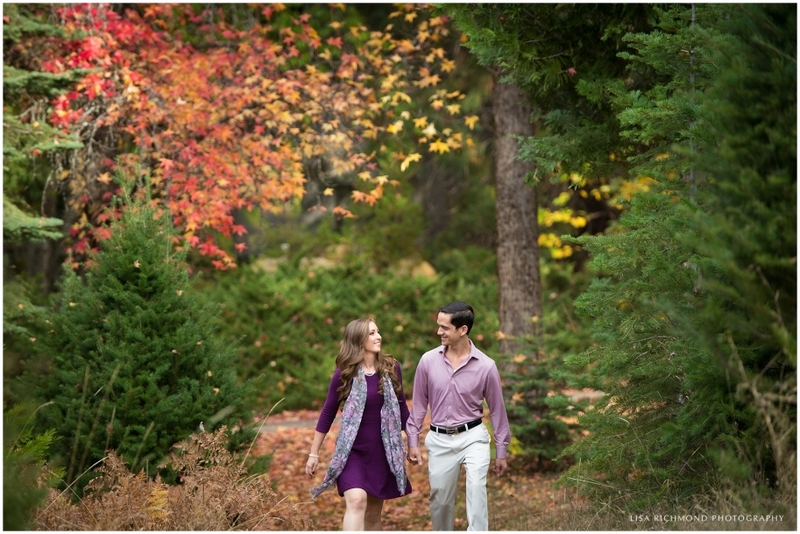 Enjoy this sneak peek from your autumn engagement session. P.S. 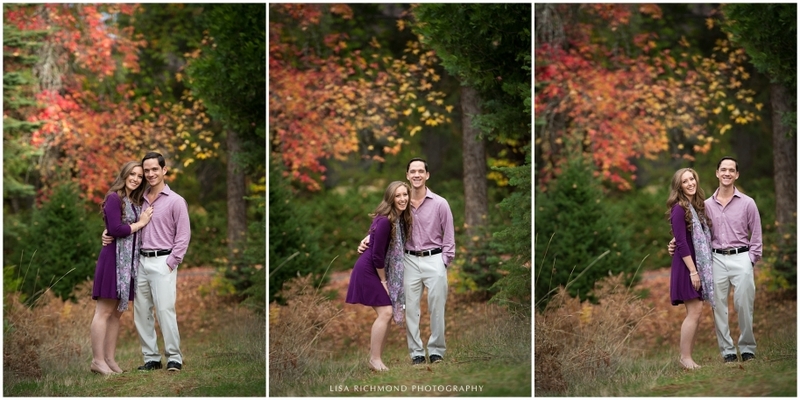 – Megan, that purple dress was on point – I love the way it looks with the fall colors! Your wedding is going to be fabulous.